Today the men are coming, and they are bringing their machines. The big diggers and claws and shovels and saws will take care of 50 years of brush piles, fallen trees, wild honeysuckle, deadstands, and brambles, revealing wild cherry and strawberry and apple and hickory nut already (and that’s just before 9am). I’ve never seen a more beautiful sight. 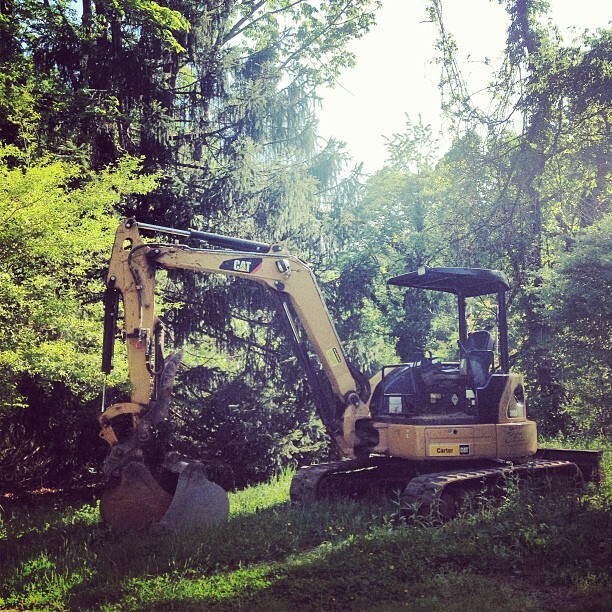 They might as well put this backhoe in a centerfold. @sandeep, or just a jump in your pond (thoughts of which will make ME have to take a cold shower)!